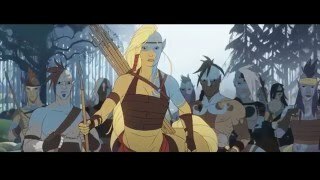 Stoic has announced the release of Survival Mode for The Banner Saga 2 owners as free DLC. In survival mode players have to assemble a combat team from a wide range of existing Banner Saga heroes and survive 40 levels. Once their team is complete, combat begins, but perma-death in battle is real and once lost, a hero can not be brought back. Each victory grants Renown, which can be used to unlock more Heroes to replace ones that have fallen. Items now drop in combat, or can be purchased with Renown, so that you can constantly improve your combat team. A 30-second timer keeps the action moving and leaderboards track how each player ranks against others. All three difficulty levels are included in survival mode. 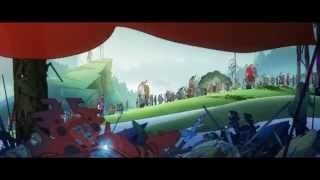 The Banner Saga 2 is out now on PC/Mac and will be coming to consoles on July 26th 2016 and mobile devices later this summer.